The supposed remains of Sa-Nakht, a pharaoh of ancient Egypt, may be the oldest known human giant, a new study finds. Myths abound with stories of giants, from the frost and fire giants of Norse legends to the Titans who warred with the gods in ancient Greek mythology. However, giants are more than just myth; accelerated and excessive growth, a condition known as gigantism, can occur when the body generates too much growth hormone. This usually occurs because of a tumor on the pituitary gland of the brain. As part of ongoing research into mummies, scientists investigated a skeleton found in 1901 in a tomb near Beit Khallaf in Egypt. Previous research estimated that the bones dated from the Third Dynasty of Egypt, about 2700 B.C. Prior work suggested that the skeleton of the man — who would have stood at up to 6 feet 1.6 inches (1.987 meters) tall — may have belonged to Sa-Nakht, a pharaoh during the Third Dynasty. Previous research on ancient Egyptian mummies suggested the average height for men around this time was about 5 feet 6 inches (1.7 m), said study co-author Michael Habicht, an Egyptologist at the University of Zurich’s Institute of Evolutionary Medicine. Ancient Egyptian kings were likely better fed and in better health than commoners of the era, so they could be expected grow taller than average. Still, the over-6-foot-tall remains the scientists analyzed would have towered over Ramesses II, the tallest recorded ancient Egyptian pharaoh, who lived more than 1,000 years after Sa-Nakht and was only about 5 feet 9 inches (1.75 m) tall, Habicht said. In the new study, Habicht and his colleagues reanalyzed the alleged skull and bones of Sa-Nakht. The skeleton’s long bones showed evidence of “exuberant growth,” which are “clear signs of gigantism,” Habicht said. These findings suggest that this ancient Egyptian probably had gigantism, making him the oldest known case of this disorder in the world, the researchers said. No other ancient Egyptian royals were known to be giants. “Studying the evolutionary development of diseases is of importance for today’s medicine,” Habicht said. 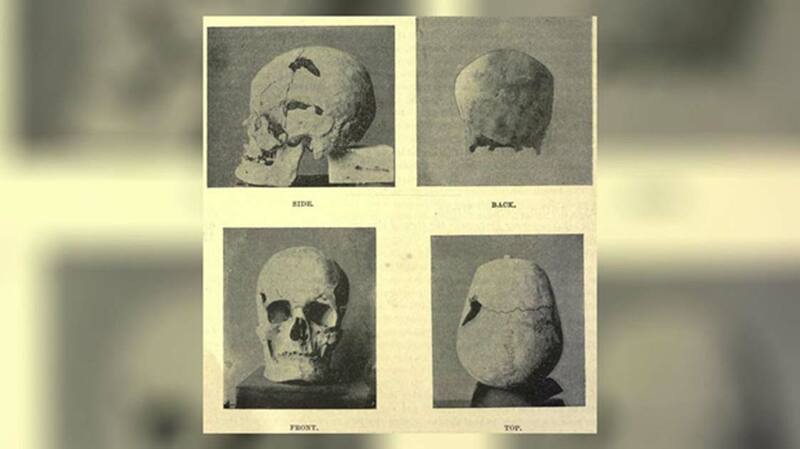 Still, because the alleged remains of Sa-Nakht were buried in an elite tomb, there may have been no social stigma attached with gigantism at the time, the researchers said. The scientists detailed their findings in the August issue of the journal The Lancet Diabetes & Endocrinology.